Consider what happened to Richard, a high school senior who took one of our three-week Evelyn Wood reading courses. He had been progressing quite well and had increased his reading speed from just under 300 words per minute to just over 1,000, according to the most recent test he had been given. Many of our students end up reading faster than this, however, and Richard's fast-developing skills suggested that he might increase his speed significantly if he kept practicing. His instructor expected him to be pushing 1,200 to 1,500 words per minute before he completed his work. "My husband was waiting out in the hallway for the class to finish, and when he saw Richard come out, he thought the boy was sick," she said. Apparently, the young man had turned quite pale and seemed extremely nauseated. At the next break, the instructor, who had been apprised of the situation by her husband, approached Richard and asked, "Are you all right?" "Yes," he replied, "but something strange happened to me in there." "As I was reading, the words seemed to come off the page and become a motion picture. I saw—literally saw—the bombing and what happened to those Japanese people! And I got sick." "You finished the entire thing?" the instructor asked, knowing that the book was more than a hundred pages long. When the boy nodded, the teacher went over and checked the time he had spent reading the book. After a quick calculation, she discovered that Richard had been reading at more than 3,000 words per minute. 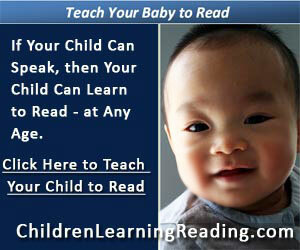 Furthermore, a quiz on the book showed that he was reading with more than 90 percent comprehension. Think for a moment about the implications of this experience: If the average student reads at 250 words per minute, it will take him nearly seven hours to read a two-hundred-page book (assuming that there are five hundred words to the page). But if that same student begins soaring along at the rate of 3,000 words per minute, he or she will be able to complete the same book in less than thirty-five minutes. Is this really possible? It is indeed—for those who are willing to learn and apply the principles and guidelines I'll be describing. In fact, I can guarantee that with serious practice, most students and parents can move up to 1,000 words per minute in only a few weeks. And if you continue to work at fine-tuning these reading and learning skills, it's possible to move even faster—perhaps up to and beyond Richard's achievement. 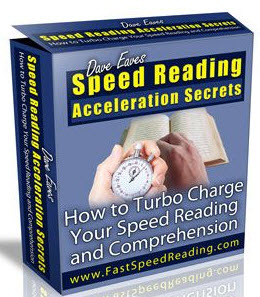 • How to calculate your reading speed. • The famous—and fundamental—Evelyn Wood speed-reading hand motions, with illustrative diagrams. • The "layering" technique of assimilating written material (also called the Multiple Reading Process), which is the essential foundation for high-speed reading. • How to plan a study strategy, with suggestions for setting up monthly and weekly calendars. • Time- and energy-saving techniques for using lectures and class discussions as a warm-up for study. • The highly effective "recall pattern" concept for taking notes—including a detailed description of the famous "slash recall pattern" used effectively by many top students. • How a student's ability to use important material on tests can be improved during the "postview" phase of reading. 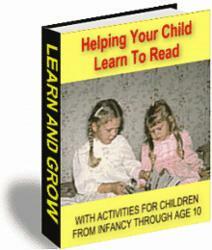 • Specific methods for achieving success on both essay and short-answer exams. • How to break through the "subsonic reading barrier" of 800-900 words per minute by applying the secret of "visual-vertical" reading. In one St. Louis school district, which had been performing quite poorly on standard tests, only one-third of the eighth-grade students passed a Basic Essential Skills Test (BEST) in 1985. This test included questions on reading, language arts, math, government and economics. But the next year, after the students took a special Evelyn Wood course, 75 percent passed. In the same school, a group of twenty sixth-graders increased their reading scores by an entire grade level after taking a five-week Evelyn Wood course. Their average reading speed jumped from 115 words per minute to 234 words per minute. Overall, 82 percent of the students increased their comprehension and vocabulary reading levels, and 94 percent increased their reading rates. These and other similar results have convinced me that our reading and study program can transform the intellectual productivity of boys and girls, as well as that of men and women at almost every age level. We've encountered significant success with students from the fifth grade on up. But to emphasize just how the lives of young people of different ages can be changed dramatically, let me introduce you now to three students—a sixth-grader, an eighth-grader and a newly arrived college freshman.